Fans of Japanese cuisine are pretty spoilt for choice these days, with most major malls containing at least one, if not more, Japanese restaurants. 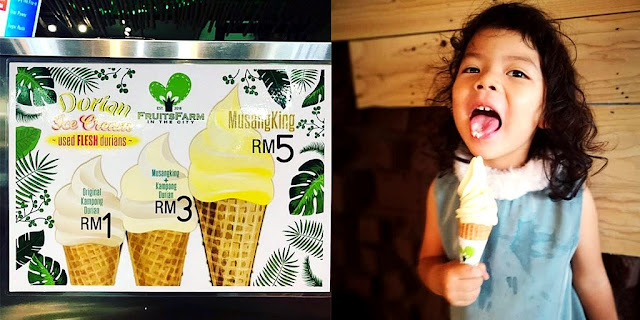 That said, sometimes travelling the distance to a place like Yaki Niku Ishiya at Encorp Strand in Kota Damansara can lead to a gastronomic adventure. For those who enjoy barbecue but not the smoke, Yaki Niku Ishiya is the place to be as its smokeless roasters ensure a smokeless dining experience. 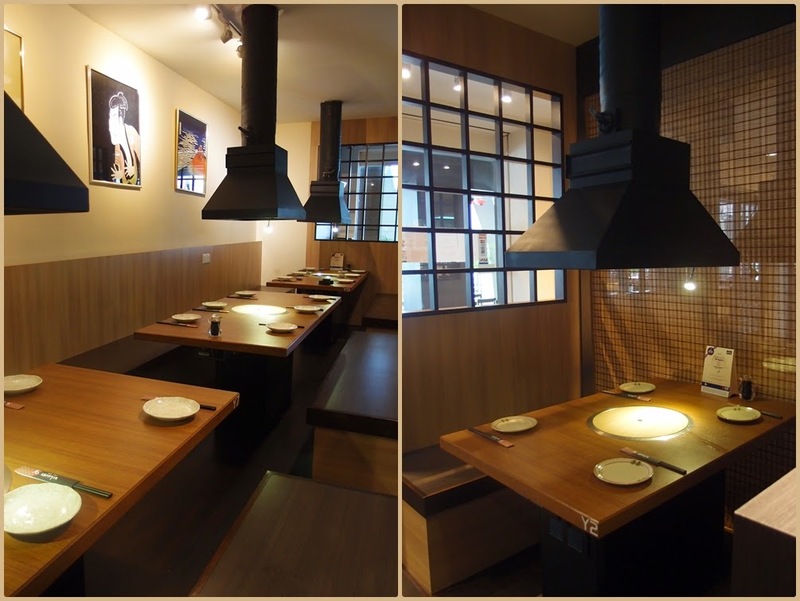 Yaki Niku Ishiya is a smoke-free restaurant that provides an interactive dining experience where diners can enjoy fresh Yakiniku (barbecued meat) right off the grill. Yaki Niku Ishiya Japanese BBQ Restaurant is a pork free establishment with a diverse menu that includes US Kobe beef Imperial Wagyu, New Zealand beef, New Zealand lamb, seafood, poultry, lamb and salads. 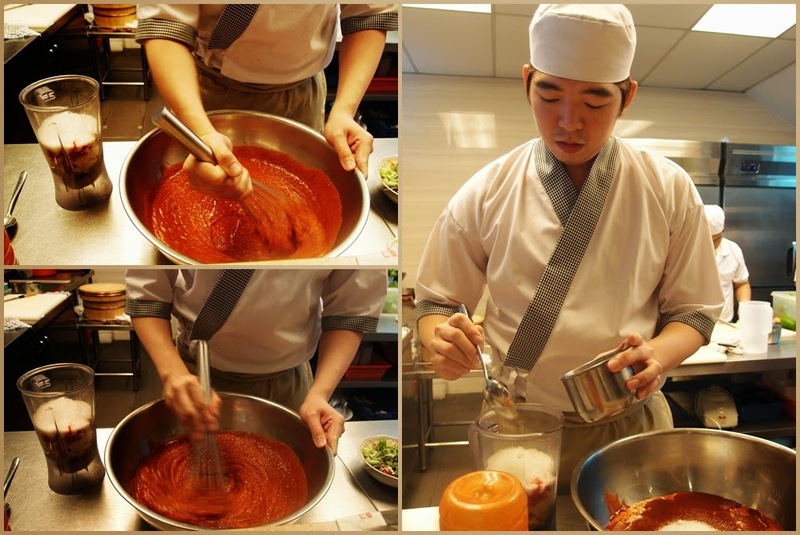 Apart from that, diners can choose from the ala carte menu which includes appetizers, sashimi, sushi, maki (rolled sushi), temaki (hand roll), donburi (rice bowl dish), yakimono (grilled or pan-fried dishes), tempura, udon, ramen and teppanyaki among others. 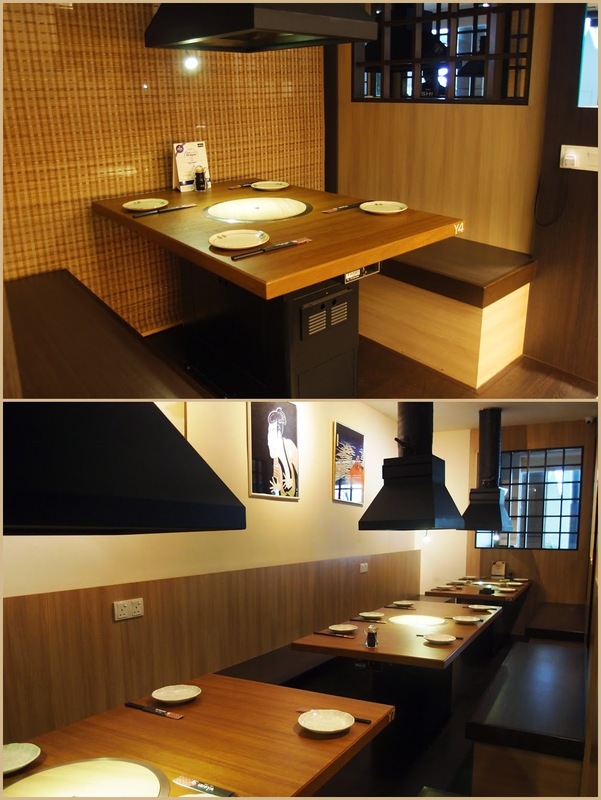 Calming and pleasant ambience, this restaurant offers a comfortable dining space for family and friends to dine in. With seating capacity for more than 100 people with indoor and outdoor dining spaces, it's a perfect venue for company dinners, parties or hosting of events too. According to shop manager Wallace, to maintain the high standard set by their Japanese counterparts, their roasters together with the dining tables are imported directly from Japan to enhance diners dining experience and to serve them better. Yaki Niku Ishiya practises an open-window concept kitchen where diners can have full view of the food preparation of the dishes. We started with an appetiser of Cheese Stick which was a deep fried spring roll with cheddar cheese. Being a popiah fan and all-things-crispy, the cheese stick was definitely heaven for me. It was still crisp and hot to taste even after the 'camera eating session'. Well, just three words to describe this awesome treat ~ Crispy, Cheesy & Chewy ! Another starter to consider was the Golden Dragon Maki which was basically deep fried tempura prawn topped with preserved flying fish roe (tobiko). The execution was simple, but this maki exude a nice crunch on the outside yet soft on the inside. The maki roll, filled with succulent prawn wrapped with seaweed and sushi rice gives out different texture and flavour, add bite to the palate. I would have loved to hog on this whole plate to myself! The accompanying tempura sauce was full of flavour, well at least someone got it right this time. Some that I have tried was either too watery, bland or salty. They got the taste right and makes a nice dipping sauce for the tempura. But I would have like it better with wasabi mayonnaise sauce for an extra kick. Next, we also sampled the Chicken Teppanyaki (Teishoku). Serving was good, plus the garlicky chicken was tender, good enough to be enjoyed on its own without rice. But can't say the same for the vegetables (mixed of bean sprouts, shredded cabbage, carrots & capsicum) as I found it too salty, the chef might have go 'overdose' with the seasoning. I would say the vegetables was well cooked, crisp and definitely goes well with rice. For the barbecue-dining experience in Yaki Niku Ishiya, we were served smoked duck, beef, lamb, chicken and squid. Their on-going BBQ promotional Set comes with 2 bowls of mini garlic fried rice and 1 bowl of green salad. Diners can pick 3 out of 5 meat selections from Smoked duck, New Zealand Lamb shoulder, New Zealand Beef sirloin, chicken to squid. This fare will certainly add to the fun of the gathering over a sizzling grill. My 'Makan' buddies enjoyed the barbecue lamb, which they said had a "melt in your mouth texture" and absence of the distinct musky odour. Worth mentioning was the Smoked Duck. The premium smoky duck breast comes in thick cut and generous portion; not too thinly sliced like many others places I tried. Flavoursome and succulent, the duck meat was simply irresistible after the first bite. Simply addictive with a beer or even rice.... Highly recommended as part of your dining experience in Yaku Niku Ishiya. Although the fried garlic rice was part of the BBQ set, I enjoyed eating the rice on its' own rather than with the grilled food. Serving size wasn't much as it was suppose to be a side dish to eat together with the rest of the food. Personally, I would have enjoyed it better if some white rice were served to go with my flavoursome grill meat. Yaki Niku Ishiya also prides itself on serving in-house sweet treats. Therefore for dessert, we had Macha Ice and Goma Ice which was their speciality ice cream. Macha (green tea) ice cream with a side of sweet azuki beans may seem a little trite, but there is no denying they are a satisfactory end to a heavy and flavourful meal. Maguro sashimi (raw tuna), Soft shell crab salad and Omakase sushi (Chef's choice sushi) are other a la carte delights to complete the experience of the Land of the Rising Sun. Like many others, there shall be a point in time when we reached a certain age, that healthy and beauty would be our main concern. Good health can be achieved if we maintain a healthy lifestyle by eating right, staying psychically active, keeping our mind stress free and body free of harmful drugs and alcohol. As for beauty, I believe it's much harder to achieve. Ageing is an unstoppable process and, as the body ages, so does the skin and its appearance and characteristics change. Wrinkles, frown lines, pigmentation, age spots, eye bags and sagging skin; all these unwelcome features come along as our age increases. Like most women, fines lines begin to etch around my forehead and eyes once I reached 50+ marks. I had tried using wrinkles cream or essence for many years as part of my beauty regime without much improvement. 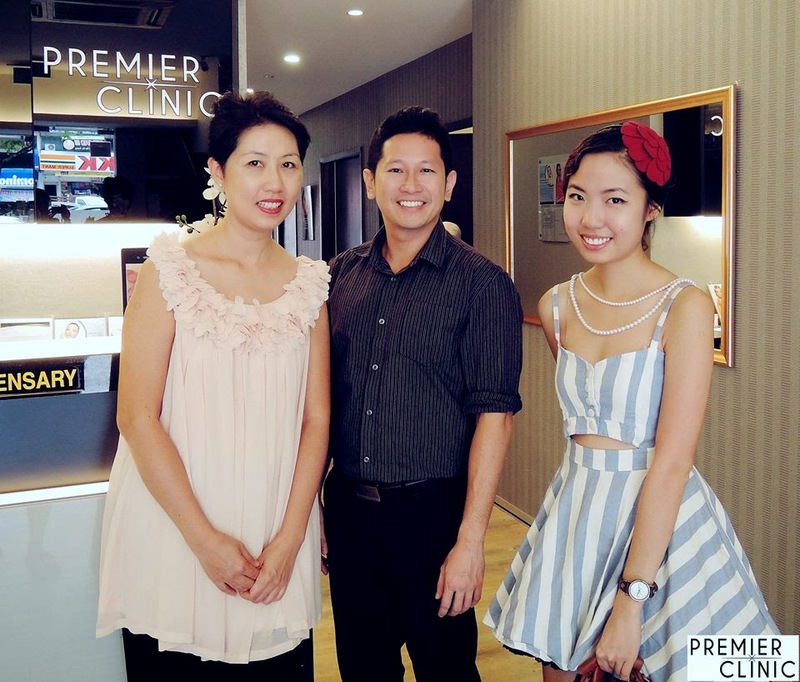 Well, I was totally thrilled when I was invited by Premier Clinic to review their beauty and aesthetic treatments. Also, I was not loving the creases on my forehead and in between my eyebrows. Guess I'm lucky in a way as this wouldn't have come any better time especially when I needed some effective solution to my problem. When I reached the clinic, I was given a warm welcome from friendly and charming Mr Marcus Osmand, their Head of Beauty Division. I was introduced to their team of staff which includes Ms Charlette Lee, Beauty Manager and Dr Toh, one of their many aesthetic physicians on duty that day. On my very first visit, I was consulted by Dr Toh, an aesthetic physician. 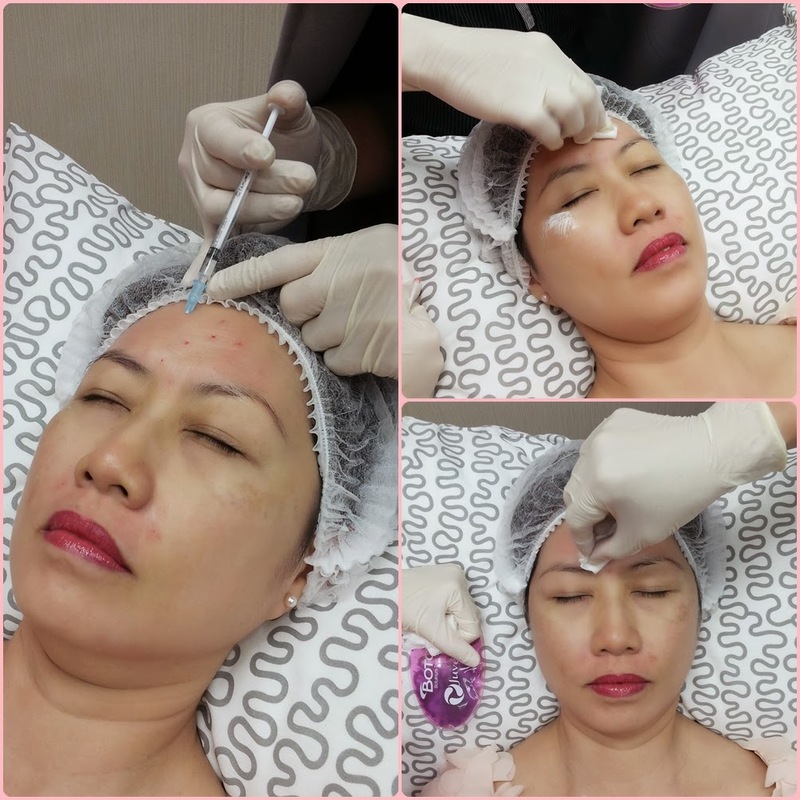 She was very thorough with me as she goes through explaining their range of non-surgical aesthetic procedures which includes Botox, Filler, Non-Surgical Thread Lift and PRP Therapy (which stands for Platelet-Rich Plasma Therapy). Dr Chen Tai Ho, an aesthetic physician by training is passionate in his work shows in the way he provides meticulous one-to-one consultation to his valued patients, the thorough examination and explanations he imparts, and gentle manners when performing procedures. I was lucky to have Dr. Chen as my aesthetic doctor for the day and also to perform the treatments on me. Once in the treatment room, the doctor who is patient and kind as ever, sat down with me. He handed me a mirror to show me my wrinkle and lines on my face. I shared with him my concerns over the imperfections on my face especially forehead lines and frown lines between my eyebrows. He gave his recommendation and decided that Botox and Filler is the best solution for me. 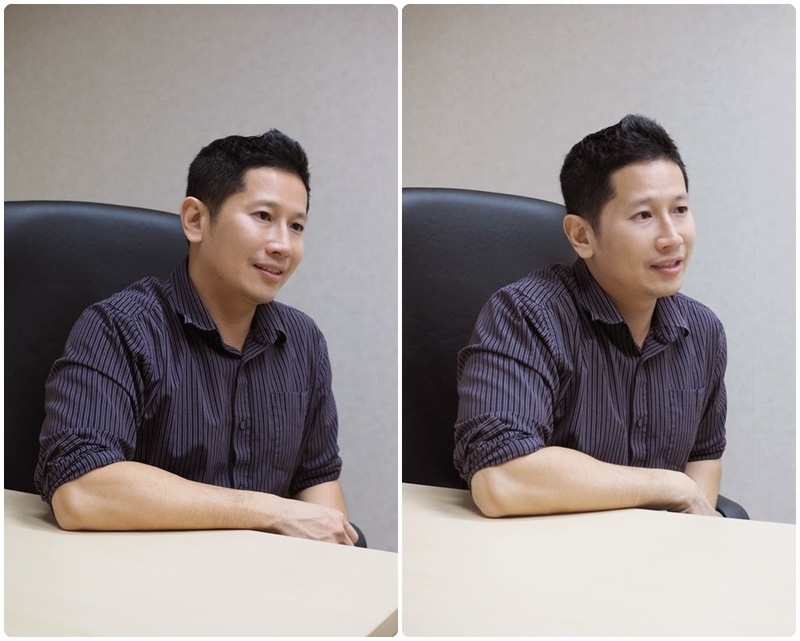 According to Dr Chen, Botox can help to relax the muscles at my forehead, crows feet (eye wrinkles) whereas Filler will fill up the sunken area in my laughter lines (nasolabial folds) near my mouth. I was told that Botox is often used in conjunction with fillers to enhance the overall results of these treatments. Needless to say, I have complete confidence with Dr Chen after the consultation and was eager to proceed with the recommended procedures. Below are photos taken of me before the procedures where I was asked to frown and smile to emphasis on the forehead lines, crows feet and frown lines on my face. 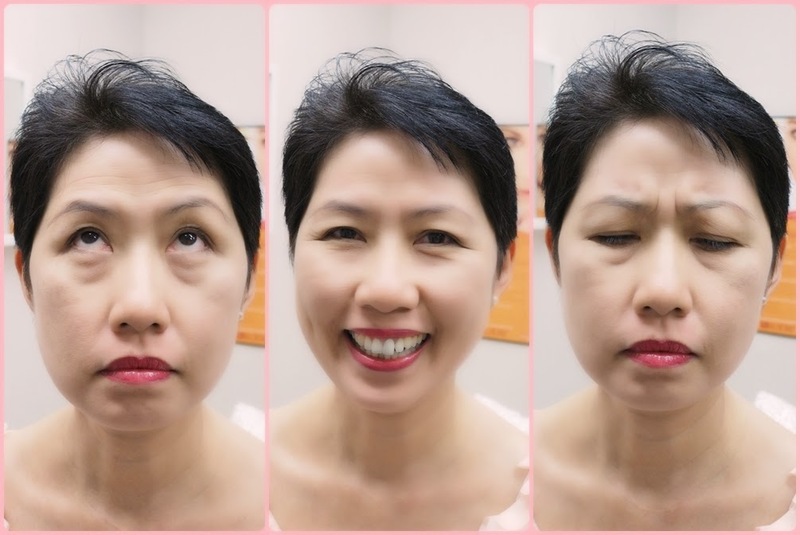 Here I was asked to post for pictures 'showing off' my forehead lines, laughter lines and last but not least, my annoyed Auntie Lilly's face with the frown lines, right before the procedure. You may have read about Botox in advertisements, blogs and celebrity gossip magazines, or heard it from your friends. 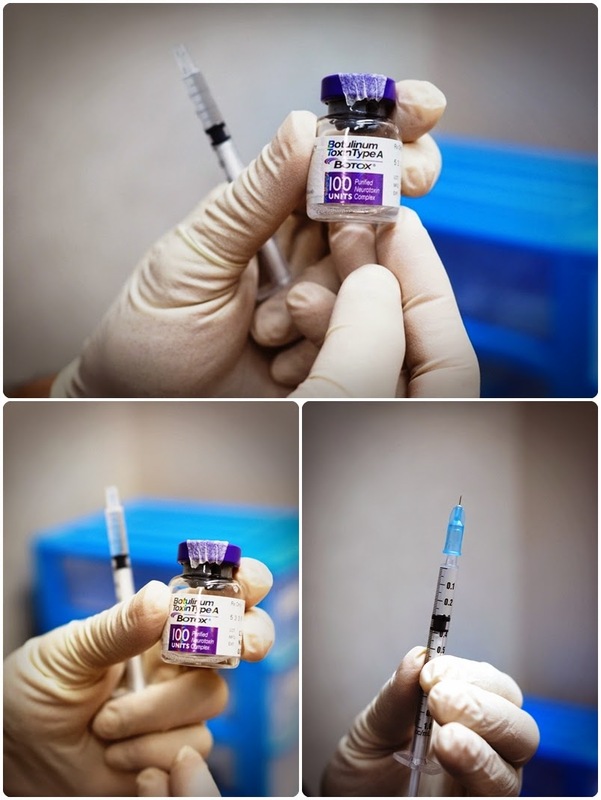 Just in case, you are wondering what is Botox... let me share with you on my blog post here. Botox is a protein produced by a bacterium, Clostridium botulinum, which can relax muscles. It is an injected liquid commonly used to improve the look of frown lines, squint and smile lines and horizontal foreheads wrinkles. By relaxing the underlying muscles, these lines become less deep. Restylane Vital is a skin boosting rejuvenation treatment. It contains Hyaluronic acid which binds water to keep skin plump and hydrated. According to Dr Chen, this filler is now available with 0.3% lidocaine (a type of anaesthetic) for a more comfortable treatment by providing relief from pain associated with the injection process. Filler treatment provides shaping for facial contours such as minor to moderate contouring of the cheek or eyebrows area, and accentuating the existing features, as well as smoothing deeper wrinkles and folds, subtly restore lost volume to your facial features. It can be used as a standalone treatment or in combination with other procedures such as BOTOX injections and laser resurfacing to produce the effects of a non-surgical face lift. The procedure started off with Marcus assisting Dr Chen in applying numbing cream on my face. Since I'm getting Botox for my forehead and sides of my eyes, numbing cream was applied onto my face prior to the procedure. The role of numbing cream is basically to reduce the pain by numbing the area specifically for treatment. 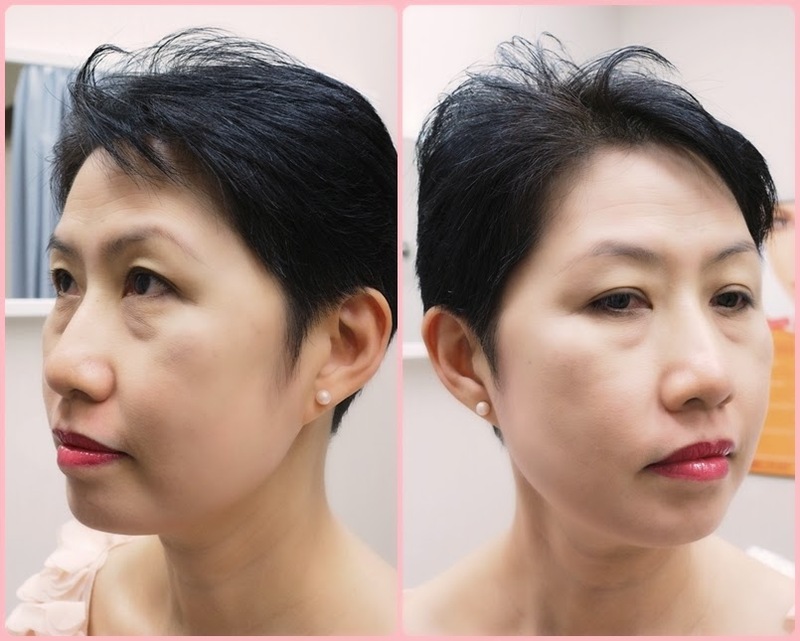 Dr Chen began by injecting the hyaluronic acid filler onto my nasolabial folds, areas near my mouth to treat the laughter lines. 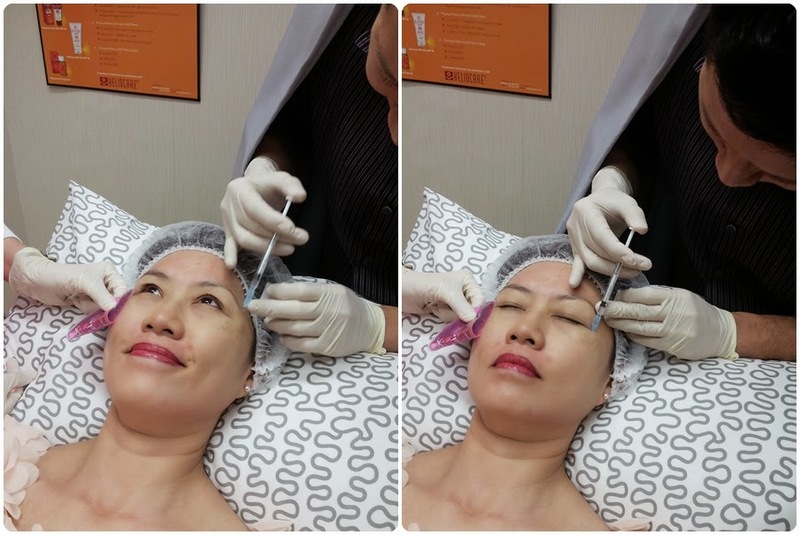 I have prior experience before with needles poking into my face during my Medlite laser with Meso Whitening treatment, so this was quite bearable for me. As you can see, cold gel pack was applied to the areas to relieve the pain where fillers injection had been performed earlier. Next, Dr Chen proceeds with the Botox injections for different parts of my face. My experience with Botox was a pleasant one, with only the mildest discomfort. The sensation I felt from the first injection was similar to a little needle poke. The oddest sensation was closer to my eyebrows; it wasn't painful, but there was s slight crunching feeling as the needle penetrated my skin. For those of you, who fear needles, put your fears to rest. I was assured by Dr Chen that the needle used was a very fine one so I need not worry very much about the pain. In fact, this needle was the tiniest one I've ever seen or felt. I didn't experience much discomfort around the sensitive eye area either. The entire process was over in about fifteen minutes. There was no downtime. You can return to your daily routine immediately, although you should avoid hot baths, sauna and swimming within the same day. I did experience a minor pain on the areas around my mouth, but it was gone on the third day. On an occasion, the needle may hit a tiny blood vessel and I had a tiny bruise for a day or so, but that's really all. With a little make up with BB Cream to cover it, you can go right back to work if you so desire. I hope all this information helps those who are looking into these instant "anti-ageing" procedures. This post serves as an avenue for me to share my experience with you, not just as a promotional post for these treatments. Personally, I feel that these modern options help to enhance my features and allow me to grow old even more gracefully and beautifully. I see it as no different as dying my grey hair, getting crowning done instead of having dentures, or any other beauty treatments. At the end of the day, it's all about being you, what makes you feel good, making best choices for yourself and do what makes you happy. I'd love to hear your feedback on this post and any others. It's the readers and your wonderful feedback and comments that make this all worthwhile.